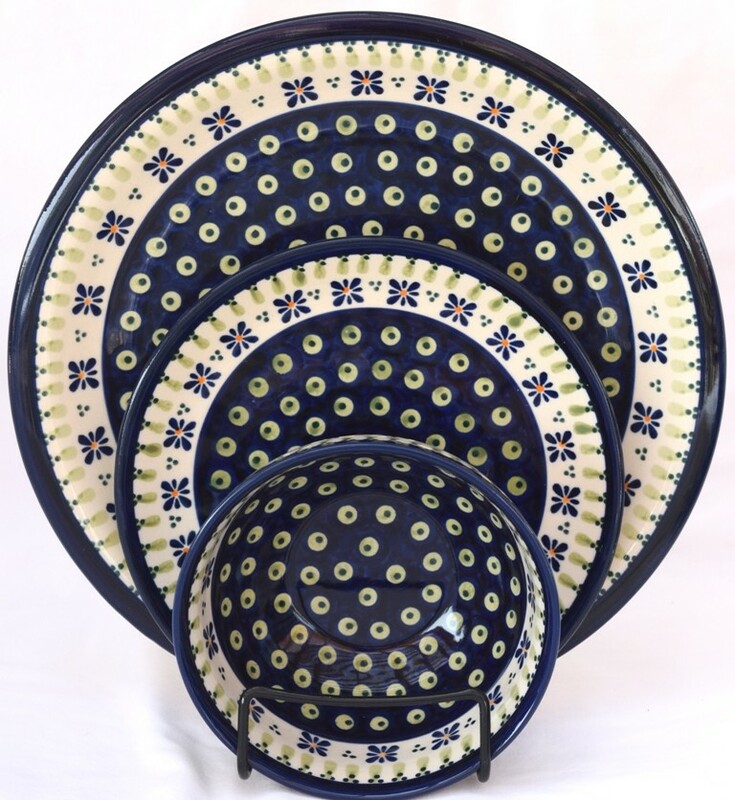 DROPS OF JOY, Designer Dinnerware Collection, made by using polish art forms and classic organic patterns, this 12 piece dinner set makes it stunning addition to your dining ensemble. Set your table or purchase as a special gift and watch people enjoy the classic table top and atmosphere you created with attractive DROPS OF JOY. A classic pattern that is individually handmade with stamps carved by Zaklady Ceramiczne “BOLESLAWIECE” skilled artisans. After the designe has been applied each dish is hand dipped in a patented glaze. The rich shades of cobalt blue, celadon green and a kiss of tangerine orange makes meal time a celebration and visually an art show. Adding to its artistic beauty and modern stoneware dinnerware is crafted from the famous white firing clay of Boleslawiec and boasts a durable quality that is chip resistant and long lasting. No more chipped, unsightly dishes in the cupboard with Polish Stoneware & Polish Pottery crockery.